Leigh Spurden - It's All Relevant : 9 years old.... How does this even happen. A collection of articles and posts from across the internet that I find interesting, funny, inventive, current or inspiring. Most content is not my own and I will always en-devour to give credit and links to original items where possible. I hope you enjoy! 9 years old.... How does this even happen. Bullies drove a nine-year-old boy to hang himself because he was being bullied as a 'new boy' at the school he'd just joined, his heartbroken family believes. 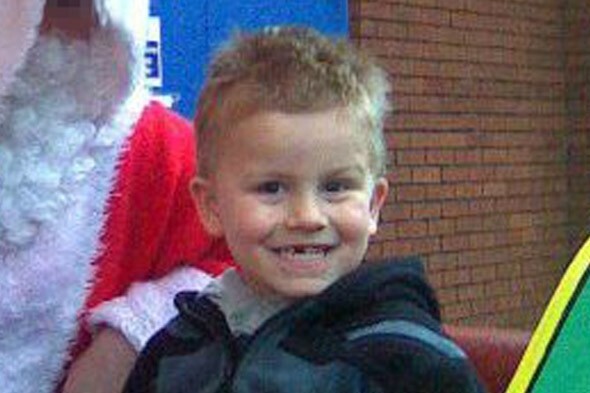 Aaron Dugmore was found by his mum Kelly at around 6pm on Monday night. Despite her frantic efforts to save him, he was rushed to hospital by paramedics and died in hospital 24 hours later. The little boy had only started Erdington Hall Primary School in Birmingham and his family believe he was being bullied because he was the 'new boy'. The allegations are now being investigated by police. His grandmother Toni Dugmore, 49, from Birmingham, has put a poster condemning bullying on her own Facebook page. She wrote: "I AM AGAINST BULLYING!!!!!!!!!!!!!!!" A neighbour said: "Toni is in absolute bits. She's crushed by Aaron's death. Apparently he had been targeted by a gang of older bullies at the school. "They made fun of him because he was the new kid but no one really thought it was any more than playground stuff." However, staff said Aaron had 'settled in quickly' at the school, which caters for 450 pupils aged 3-11, and received an 'inadequate' rating by Ofsted inspectors last year. Erdington Hall head teacher Martyn Collin sent a letter home to parents on Thursday informing them of Aaron's death. "We have spoken to all of our junior children and shared this tragic news with them. "We have explained to the children that there are some things that they can do at this time if they feel upset," he wrote. "The school will remain open but we will fully understand that you may choose for your child to be at home if they are upset." A spokesman for the school added: "The teachers, support staff and Governors of Erdington Hall are deeply saddened by the news that Aaron Dugmore died on Tuesday this week. "Our thoughts and prayers are with Aaron's family at this difficult time. "Although Aaron had only been at the school a short time he had settled quickly into Year 5 and begun to work well in his small tutor group. "The school are working closely with the local authority to offer support to pupils and staff." Aaron's 22-year-old mother Kelly uploaded the last picture she took of her son to Facebook hours after his death. It shows him sitting in a Santa sleigh grinning next to Father Christmas. She wrote: "Its better to have loved and lost, then never to have loved at all. Xxxx"
Aaron had just become a big brother after his mother gave birth to baby Grace last September. West Midlands Police said the death had been referred to the Birmingham Coroner. Detective Inspector David Wallbank said: 'We are working closely with specialists from thehealth services, children's services and the Birmingham Safeguarding Children Board to fully investigate the circumstances of this tragic death. The coroner has been notified." A Birmingham Safeguarding Children Board spokesman said: "The BSCB will review the circumstances of this case."